Your summer won’t be complete without sun and saltwater, and booking a rental condo on the Alabama coast is your best way to get your fill of summer fun. Sugar Sands Realty & Management manages over 200 condo rentals with pristine beachside views. Summer in Orange Beach and the surrounding area will be full of family events, and a well-cared for, centrally located vacation rental will be the perfect home base to enjoy everything the area has to offer. Blue Angels Beach Show: The Blue Angels are the pride of the Navy, and their home base is only a short distance away in Pensacola, FL. The fleet of F/A-18 Hornets defies gravity by performing mesmerizing airborne feats of skill and danger. They soar through the sky doing loops, rolls, dips, and dives, and they put on a show enjoyed by people of all ages. 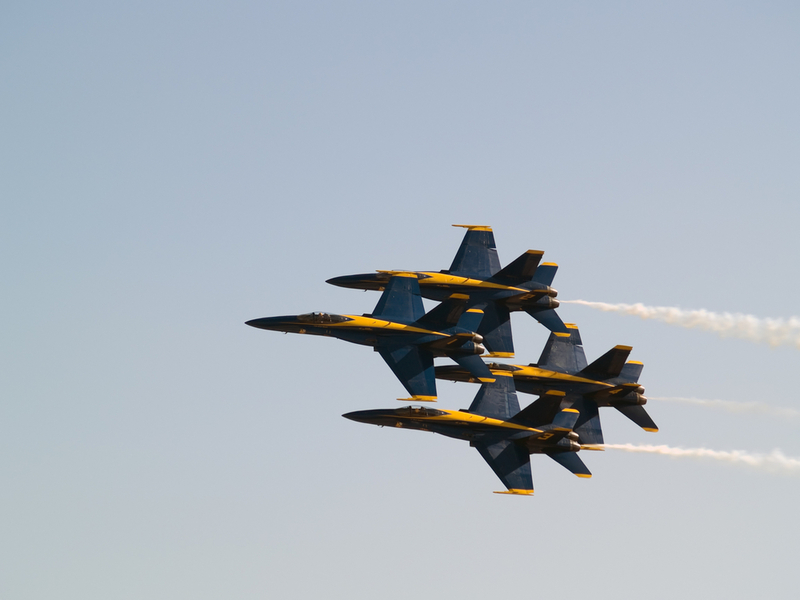 The Blue Angels will bring their performance to the beach for three days in July. Book your rental condo for July 11th, 12th, or 18th to see them for yourself. Red Snapper Season: Visitors to the Alabama coast come every year to participate in the coveted red snapper season. Usually limited to only a few days, the season has been extended for the first time in years. Fisherman of all experiences and abilities are free to grab their rods and reel in the prized fish from June 16th to September 4th. The season was extended to ensure the health of the fish populations in the deep waters of the Gulf of Mexico. Alabama Deep Sea Fishing Rodeo: If you can’t get enough of fishing, take part in the 84th Annual Alabama Deep Sea Fishing Rodeo from July 20th to July 23rd. The popular event brings out the competitive sides to recreational anglers across the state. Cash prizes are awarded to the boats with the best hauls, and the first-place fisherman will go home with $8,000. It’s three straight days of fishing, and a rental condo will be a welcome sight after all that baiting and reeling. You don’t need to travel far or spend a fortune to have a summer worth remembering. Contact Sugar Sands Realty & Management to make the most of these amazing events. You can get in touch with their friendly team by calling (800)824-6462 today. You can also browse their available condo rentals.